Pathfinder Models are a UK Company that make hand built, ready finished, white metal models for the collectors market. 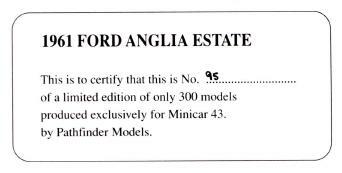 They also produce models for other companies such as G.W Engineering and Minicar 43. 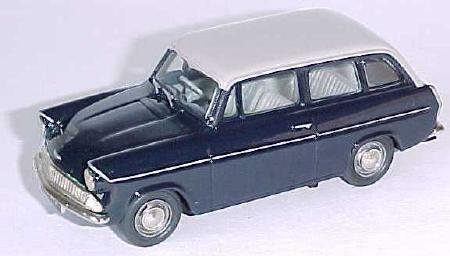 This version of the Anglia was produced for Minicar 43 (a Norwegian Company) by Pathfinder Models, but never appearred in their own range. The model is to 1:43rd Scale. The Certificate is in white.